This week's Art Talk Monday is written by Sophia Maras, NCLAC Gallery Coordinator. On Sunday, March 3rd, The North Central LA Arts Council will present Becky Bennett’s paintings in the exhibit, “Exploring Abandonment”, at Crescent City Coffeehouse. An opening reception will be held on this day from 2- 4 pm with fresh coffee and treats from the Crescent City kitchen! With graduation the same weekend, this exhibition will be a great opportunity for visiting families to experience some of Ruston’s local artwork! 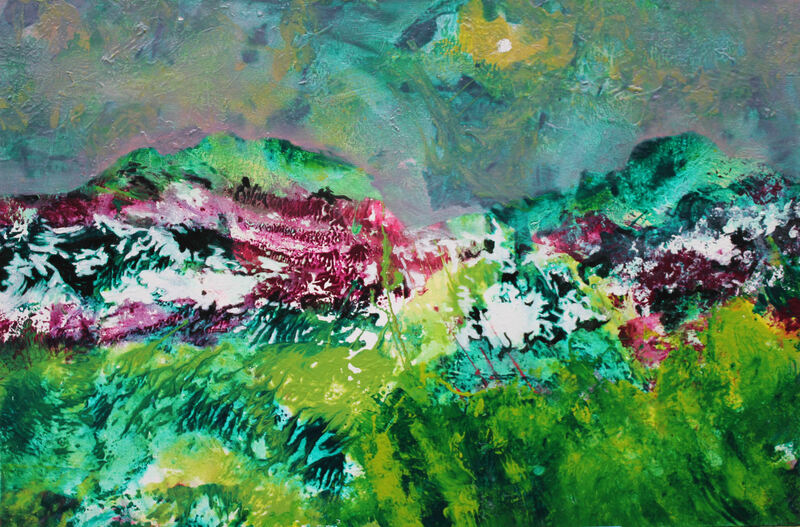 Bennett works with acrylic and oil paint to create energetic and colorful abstractions. Often in her paintings, a viewer may recognize a horizon line or a silhouette, creating a sense of curiosity. By breaking rules and trying new methods or ideas, Bennett regularly explores unknown paths through her work. 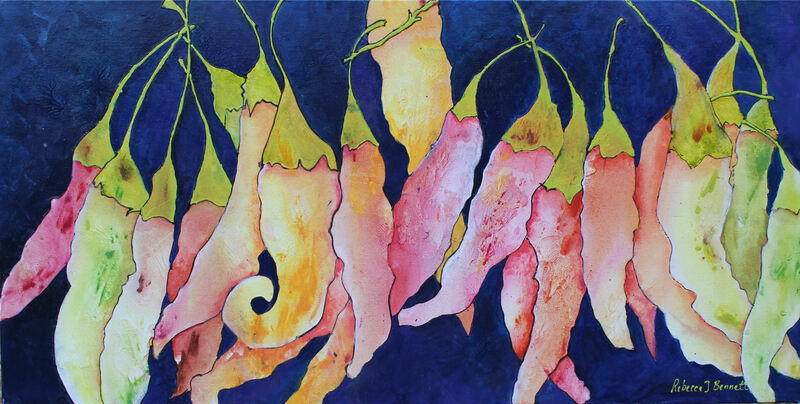 As a result, she produces paintings with vibrant colors and surging energy! With these quarterly exhibitions, NCLAC strives to expose the community to the artistic talents in and around Ruston. Thanks to Crescent City, NCLAC is able to provide a great deal of people with the opportunity to view exceptional artwork. Crescent City is a full-scale coffee bar serving a variety of beverages, in addition to pastries, salads, and a delicious lunch menu. Crescent City is now open 24/7 providing wifi and a fresh cup of coffee any time! If you are interested in purchasing a work from “Exploring Abandonment” look for NCLAC’s Gallery Coordinator Sophia Maras or Executive Director Jessica Slaughter at the reception; contact NCLAC at 318-255-1450; or stop by the Dixie Center for the Arts Monday through Thursday between 9 a.m. and 2 p.m.
To learn more about NCLAC and our programs visit www.nclarts.org or http://nclac.wordpress.com/. NCLAC is supported in part by a grant from the Louisiana State Arts Council through the Louisiana Division of the Arts and the National Endowment for the Arts.